Move-In Ready: As the name implies, move-in homes are ready when you are! They are new construction homes that are already complete or nearing completion in just a few weeks. This is a huge benefit if you’ve already sold your current home or are moving out of an apartment! Buying a move-in ready home allows you to move in without waiting so you can begin making lasting memories in your brand new home right away. Designer Upgrades: Quick Move-In Homes boast well-thought-out design details and high-end finishes in every room of the home. Interior design professionals carefully hand-pick all the countertop materials, cabinet styles, flooring options, and more from the latest trends in interior design. Their selections add luxury and energy efficiency to your home while keeping it affordable! Ability to Preview: When you walk through a Quick Move-In Home, you’ll get to explore every inch of the exact home you’ll buy. You’ll be able to touch, feel, and see all the home features in person. Grab your tape measure and start imagining your wonderful life in a new space! We believe it’s how you live that matters and helping you find your dream home is important us. 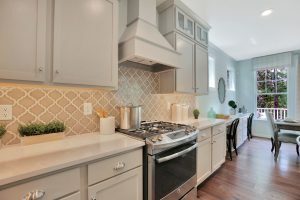 If you’re searching for a brand new home today, HHHunt Homes offers Quick Move-In Homes in the most desirable areas of Richmond, Williamsburg, Hampton Roads, Virginia, and Raleigh, North Carolina. Welcome the new year with a move-in ready home from HHHunt Homes!